LaVonn Rae Walton Richard was born on October 5, 1939, to Rollo Ray Walton and Wanda Lillie (Wilson) Walton. On March 26, 2019, she joined her Heavenly Father in her eternal home. LaVonn attended Shattuck schools from kindergarten through high school, and graduated in 1957. 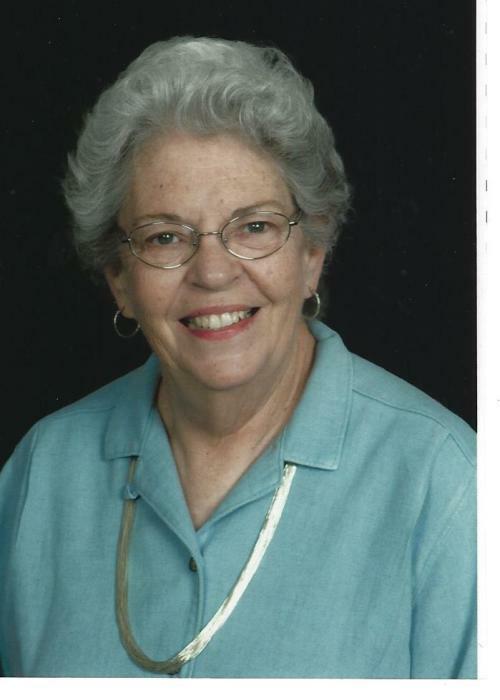 She attended Oklahoma State University in 1957-1958. She later received a BS in 1975 from Angelo State University, San Angelo, TX, and a MEd. in 1987 from East Central University, Ada, Oklahoma. LaVonn taught first grade for 20 years at Plainview School in Ardmore, Oklahoma. She retired from teaching to spend more time enjoying her grandchildren. She cherished her teacher friends from Plainview, and spoke of them fondly over the years. LaVonn and Ronald Dennis Staggs were united in marriage on August 24, 1958, in Shattuck, Oklahoma. Three children were born to this union: Joseph Bryan Staggs, Susan Marie Staggs, and Sydney Ann Staggs Painter. Over the next 43 years, LaVonn and Ron raised their family in 10 towns and cities. She moved back to Shattuck in June, 2001. LaVonn and Gary Harold Richard were married on October 5, 2001, at Estes Park, Colorado. LaVonn and Gary embraced the beauty of northwest Oklahoma. Together they enjoyed being good stewards of the land, and being part of the rural community where they attended high school together. LaVonn and Gary made their home on an 80 acre home site, on the farm where she was raised. They spent countless hours improving the land by digging loco weed and removing soap weeds and musk thistles so the native grasses would flourish for generations to come. LaVonn was preceded in death by her parents and her brother Grant. LaVonn is survived by her loving husband Gary, her children Joseph, Susan, and Sydney (Kirk); five grandchildren – Lt. Benton Painter (Frankie), Madelinn Ensign (Aaron), Audra Langhorst (Alex), Kathryn Gerdts (Nathan), and Haley Staggs; nephew Dr. Gregory Walton and family, niece Dr. Jennifer Walton Besch and family; and Gary’s children, grandchildren, and great-grandchildren; and many cousins. The family would like to thank the EMS staff in Shattuck and the doctors, nurses, and staff at Newman Memorial Hospital, the 4th floor ICU at St. Anthony Hospital, and Integris Hospice House for their care and compassion during LaVonn’s last days. Mass of Christian Burial was conducted at 10:00 a.m. Monday, April 1, 2019 at the Holy Name Catholic Church in Shattuck, Oklahoma with Reverend Rajesh Kumar Netten and Reverend Nallapatti Thomas Presiding. Vocalists for the service was Glenn Dorr and Meghan Cox. Instrumentalist was Debbie Kelln. Casket Bearers for the service were Lt. Benton Painter, Aaron Ensign, Nathan Gerdts, Alex Langhorst, Steve Richard, Dan Nyberg. Honorary Casket Bearers were John Kelln, Chris Kelln, Jacob Kelln, Daniel Kelln and Kirk Painter. Interment was in the Shattuck Memorial Cemetery with the Mason Funeral Home of Shattuck, OK in charge of arrangements.